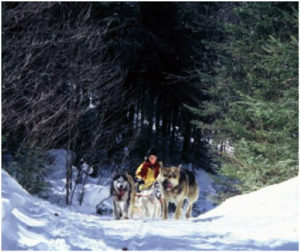 In March 2001 we went to Québec for our first ever dogsledding trip. The perfect snow, mild temperatures and sunshine were a blast. 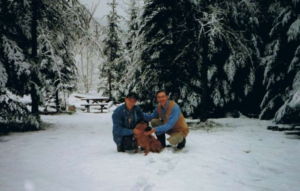 This adventure was the inspiration for our future winter expeditions. We also stayed with Régent Sioui at his Tsonontwan camp. 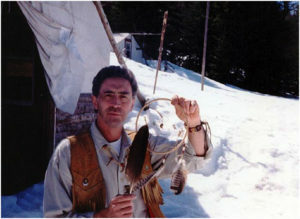 Régent is a chief from the Huron Nation who teached us lots about native history and spirituality. Luckily we met Bob Seven Crows, a MicMac storyteller/singer-songwriter who made an immense impression on both of us and who told us the story of “Kwey and Kwey”, we will never forget!